For event schedule such as stage greetings, please click here. Franz Kafka’s classic novel reset in contemporary Tokyo. 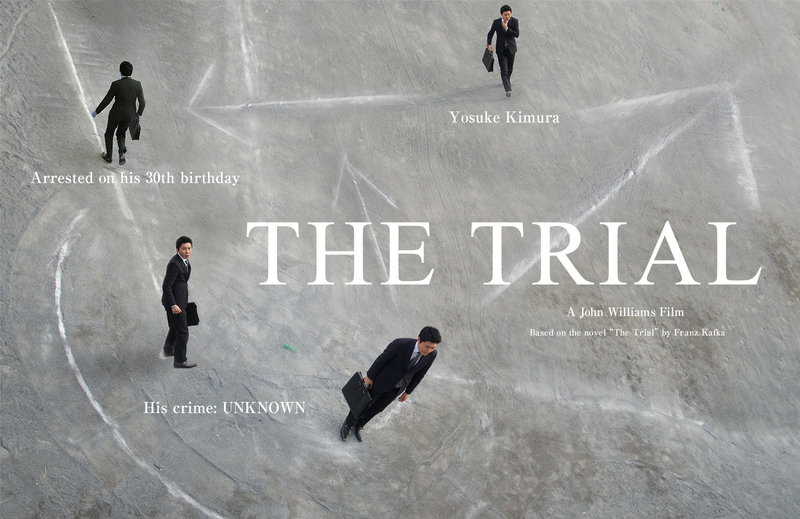 Welsh/Japanese director John Williams transposes Kafka’s tale of paranoia, guilt and existential anxiety to modern day Japan. 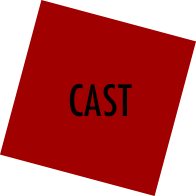 The project grew out of an actor’s workshop, which was performed as a play in 2015, then shot as a film with a completely different script in 2017 and completed in early 2018. A darkly comic mystery meets absurdist satire of Japanese bureaucracy. Kafka’s novel is perhaps more valid today than it ever was. In the so-called “post-truth” age the story of a man who wakes to find himself under arrest for an unspecified crime has a new resonance. The film preserves Kafka’s more universal existential themes, whilst also satirizing Japanese bureaucracy and political drift to the right. The film stars in Tsutomu Niwa, who has worked with Williams before on two films and a raft of outstanding new talent, as well as well known faces, such as Toru Shinagawa and Choei Takahashi. 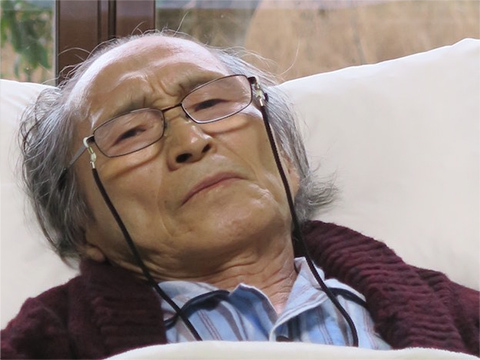 Kabuki actor, Yajuro Bando makes a guest appearance in his first film role for 11 years. 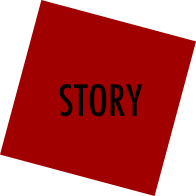 Present day Tokyo: Yosuke Kimura wakes up to find two men in his room. They tell him he is “under arrest” but even they do not know the charge. 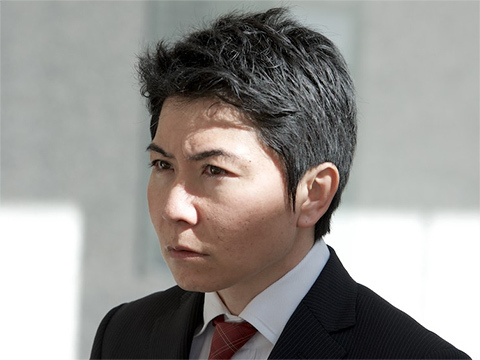 Kimura has to report to a strange court in the suburbs, but the ways of the court are absurd, and though he is “under arrest” Kimura is free to carry on his life as normal. As his case continues he finds that he has become very attractive to women, but they all seem to want something from him, though some of them claim that they know about his case and can help him. 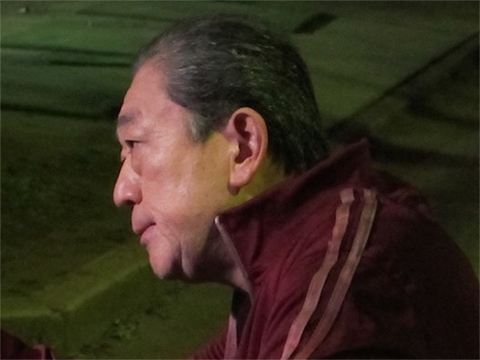 The more Kimura struggles to prove his innocence, the more the people around him treat him like a criminal. He begins to find answers in bizarre places: from his clients, from a strange puppeteer, from a Priest. But, little by little he begins to understand there is no exit from the labyrinth into which he is stumbling. All paths lead to some kind of punishment in the end. Tsutomu Niwa was born in Hyogo in 1974. He made his debut in Chikamatsu’s Double Suicide, directed by Yukio Ninagawa while he was still in Keio University. After spending several years as a stand-up comedian in a Manzai comic duo, he returned to acting. 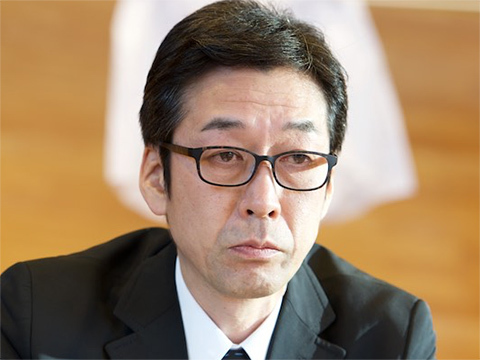 He has appeared in numerous roles on TV, including twice in the popular series, Aibo, and several times in NHK’s morning TV dramas, including the hit, Masan as well as in many plays, including Harold Pinter’s The Dumb Waiter. 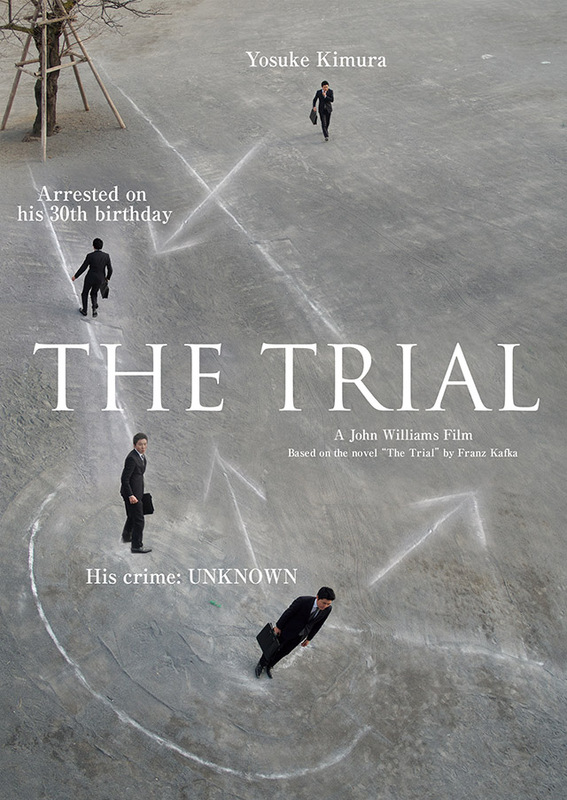 The Trial is his 3rd appearance in John Williams’ films and his first leading role. Rino Tsuneishi was born in Nara in 1978. She acted in many theatrical plays, before joining the talent agency Grue. She has appeared widely on TV, CM, and movies. Recently known for Ooka-Echizen 4 and Inori no Maku ga Oriru Toki directed by Katsuo Fukuzawa (2018). Born in Tokyo in 1975. Graduated from Nihon University and began working regularly as a stage and film actor. At the age of 33 he moved to New York, where he studied acting and had lead roles in the films, Deliver Me and The Kindness of Human Milk. He appeared in the theatrical version of The Trial and in a completely different role in the film. Born in 1979 in Nagano he began his career in acting at the age of 21 when he signed with a model agency in Tokyo. Through the agency he began to train as an actor and started shooting and appearing in short films. At present he is a freelance actor, active in independent films, theatre and promotional videos. He appeared in a different role in the theatrical version to The Trial. 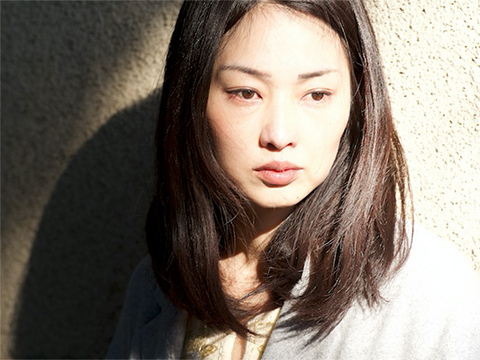 Tomoko Hayakawa, who is fluent in English, has appeared in numerous roles in both Japanese and English language productions. She won the Best Actress Award at the First Run Film Festival for her role in Paleonaut (Directed by Eric Makiber) Most recently she has appeared in Nakata Hideo’s Owata Hito and Uchida Eiji’s Kazoku Goko and Share House. She played the lead role in Teaching the Nightingale (dir. Kyle McCloskey) She has also worked as an English language reporter for NHK. Born in Aizu Wakamatsu, Megumi grew up in Izu and graduated from the Department of English Language and Culture in Sophia University. She began acting in University and has mostly worked as a stage actress, Japanese adaptations of plays such as The Glass Menagerie. She has also appeared on TV Commercials and is currently involved in translating and adapting the British play Airswimming, which she will perform in early 2019. Born in 1963 in Tokyo. He made his debut as a leading role in 2012 when he appeared in Yu Katsumata's film Short Hair Walz (2012). Known for his wide range, from comedy to serious roles, he has appeared in many Online Commercials. He appeared in the stage version of The Trial as the Puppetteer, reprising the role in the film version, but also playing the Judge. 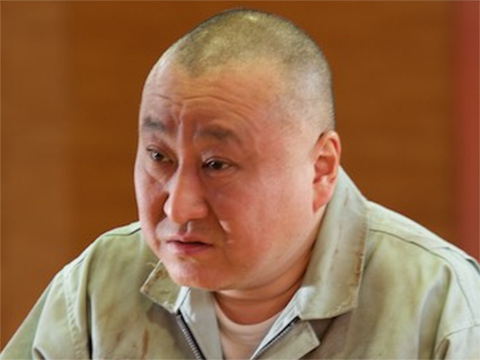 Born in Kyoto, and originally a musician before starting his acting career, Ichi Omiya is a favourite of cult directors such as Hideaki Anno and Sono Shion, and has appeared in many commercial films including Thermae Roma 2 and Shin Godzilla. 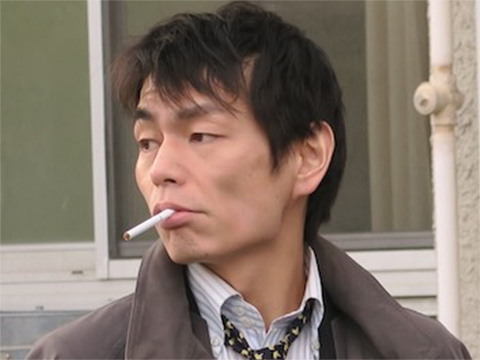 Fluent in English Ichi has a range that goes far beyond his casting in comic or tough guy roles. This is his third Williams’ film after Starfish Hotel and Sado Tempest. Yajuro Bando was born in Tokyo in 1956. He is a well-known Kabuki actor and the third son of a film star/kabuki actor, Kotaro Bando, the first. 183 cm tall he is an imposing figure on the Kabuki stage with a command of all the Kabuki actors’ arts and skills. He has a unique presence and can play any role from a villain to a samurai lord, and is loved by Kabuki fans. Previously he appeared in Daniel Schmidt’s Kakareta Kao (1995) and Hideyuki Hirayama’s (Yajikita Dochu Teresuko), both were costume films and this is his first appearance in a film set in present day and for eleven years. 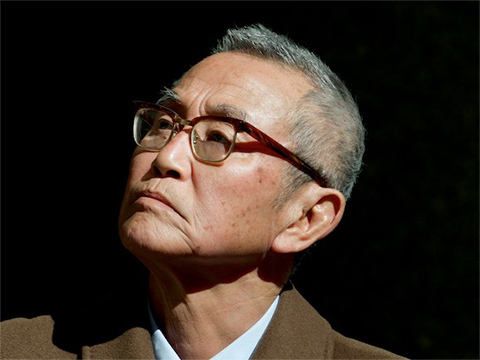 Born in 1942 in Kanagawa Prefecture, he was a member of the famous theatre company, Haiyuza for fifteen years. After he left Haiyuza he developed a reputation as a character actor in numerous films, TV dramas, and plays from tragic good citizens to lunatic villains. 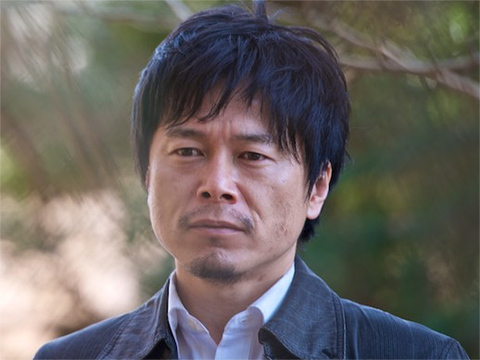 He has worked with such well-known Japanese directors as Hirozaku Koreeda, Juzo Itami, Masayuki Suo, and so on. His most recent film roles include: “Tomodachi to Aruko” (2013), “Maiko wa Lady” (2014), “Tatara Samurai” (2017). John Williams is originally from the UK (from Wales) but has lived in Japan since 1988. He began making films on 8mm in Nagoya in the nineties, shot his first feature film in Nagoya, “Midnight Spin” in 1994, then wrote and directed his first theatrically released feature film, Firefly Dreams, which was released in 2001. This was followed by Starfish Hotel (Koichi Sato, Kimura Tae, Kiki) in 2007, Sado Tempest in 2013 and Shinpan. All of his films have won Best Feature awards at international film festivals. 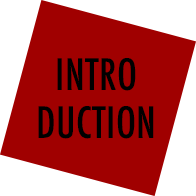 As well as directing he also produces features and shorts and documentaries by other directors. He teaches Film Production at Sophia University. The novel that this film is based on is about a man who suddenly “wakes up” on his 30th birthday. I think Kafka chose the age of 30 very carefully – because the protagonist doesn’t just wake up. He has a kind of “awakening.” He looks around him and sees the world in a completely different way. Nothing makes sense any more. All his life, his work, his blind obedience to the rules of society and the world (in truth he has never broken the law) suddenly seem meaningless in face of the one appalling fact. He is “under arrest.” This is obviously a metaphor and the metaphor is blindingly clear. We are all “under arrest” so how shall we plead? How shall we justify our lives? I chose to set it in Tokyo now, in a pretty much “real world” as if the dream reality has become the world we live in, and I hope that for the audience who see the film in Japan it will make them think about things that are happening in Japan and the world right now. We all wake up everyday now to a new reality, in a world that is the same but different. Can we do anything about this world or do we just accept that it is very strange? If we do accept the strangeness are we “under arrest” too? If we start to question this strangeness what will happen to us? How free are we even to think the thoughts that question the strangeness of this world? I hope the film works as a very small, shrill and persistent alarm clock, telling the audience to: Wake up! Slavomir Stanislaw Kowalewski (Slavek) is an award-winning Polish composer and pianist based in Tokyo. His work on major film and broadcast productions includes original scores for NHK, Fuji Television, TV Tokyo, and TBS networks, as well as Japan’s top pop act, AKB48, and covers a wide range of musical genre, ranging from full classical orchestral scores to Japanese traditional, piano solo, jazz, electronic, minimal, and avant-garde. Slavek began playing piano at five, but his family’s move from Communist Poland to Western Germany when he was ten was the key factor in expanding his musical horizons beyond the conventional: Slavek played in bands (alternating guitar, drums, and bass), studied the sitar from Shalil Shankar, and produced punk albums, all while continuing to win prizes for his piano playing. On the strength of a single audition, he was accepted into the Conservatory van Amsterdam, where he received a rigorous education in classical music under the tutelage of the great pianist Håkon Austbø. Later, he went on to study counterpoint, orchestration, and scoring for film, from multiple-award-winning composer Jurre Haanstra. Slavek’s original score for Edmund Yeo’s “Kingyo” was celebrated at the Venice Bianalle in 2009; and in 2013 the Brooklyn Film Festival honored him with the award for best score for his inventive work on the quirky sci-fi feature “Sado Tempest.” Both of these projects are ideal examples of Slavek’s skill at synthesizing cross-cultural hybrids, moving freely between classical and contemporary modes, and fusing organic and electronic textures. Slavek is repped in Japan by major agency Legato Music, and his productions and recordings exceed the highest international standards. Slavek speaks fluent English, German, Polish, Japanese, French and Dutch. Yorie is a director and puppeteer working and living in Tokyo. 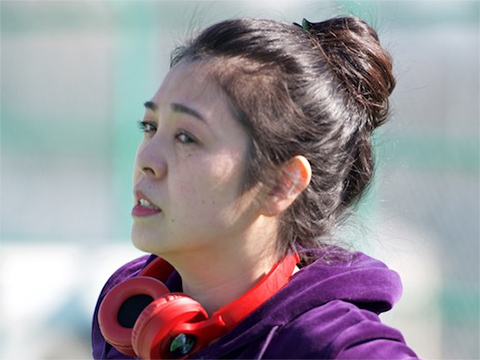 Yorie was previously an Actor/ Assistant Director with the Rinkogun Theatre Company, with whom she collaborated from 2007-2010. She has received training at the National Institute of Dramatic Art (NIDA) in Sydney, Koike Hiroshi Performing Art Institute and Stella Adler Studio of Acting in New York. In 2011, Yorie founded Glasio Bluo in Brooklyn, New York. Yorie had received a grant from the Japanese Department of Cultural Affairs to study modern puppetry in theatre making. In 2011, the company was re- launched in Tokyo, with an adapted performance of Oscar Wilde’s The Selfish Giant. Later that year, Tohoku earthquake hit the North-East of Japan and Glasio Bluo formed the “Tsunami Project”, to provide aid to the victims, run creative workshops and give performances. This project attracted new artists - musicians, dancers, visual artists and actors – to the company and its work and they toured to Palestine(West Bank), Thailand, Hiroshima and Iida with original puppet plays. She also designed puppets for Rinkogun’s “A woman’s life in 3 minutes” and Opera Konnyakuza’s "The Caucasian Chalk Circle” by Bertolt Brecht. She has also collaborated with London Bubble Theatre’s oral history play “Grandchildren of Hiroshima" and “After Hiroshima” as a co-director. Her latest puppet work is “Woman, Sherman” premiered in Hiroshima in 2017.